Sharon Marie Best Julius was born March 18, 1951 in Arlington SD to Nile and Doris (Norgaard) Best. As a young child she moved with her family to Sioux Falls. She was confirmed at Hope Lutheran Church. Sharon was a 1969 Graduate of Lincoln High School and a 1971 Graduate of Nettleton Commercial College. She married Donald Dean Julius on December 30, 1972 in Sioux Falls. Sharon is survived by her husband: Don of Sioux Falls; children: Jennifer, Matthew, and Sarah Julius; and grandson: Taylor Julius; all of Topeka; her father: Nile Best; brother: Harlan (Diane) Best; both of Sioux Falls; brother: Richard (Carol) Best of Rochester, MN; brother-in-law: Ken (Diane) Julius of Pipestone; sister-in-law: Marilyn (Harry) Brands of Hadley, MN; and sister-in-law: Dort (Doug) Adkins of Fountain Hills, AZ; as well as many close friends and relatives. Sharon was preceded in death by her mother Doris Best and in-laws Frank and May Julius. 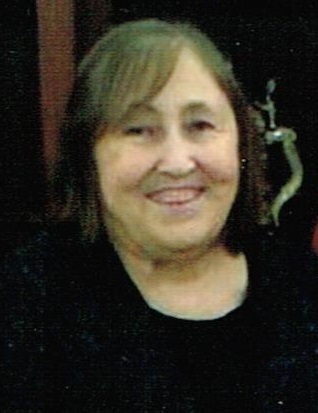 Sharon enjoyed needlework, baking for her family, playing bingo, listening to music, and gathering with family. Visitation will be Saturday, 4 PM at Barnett-Lewis Funeral Home with a Funeral Service at 5 PM.